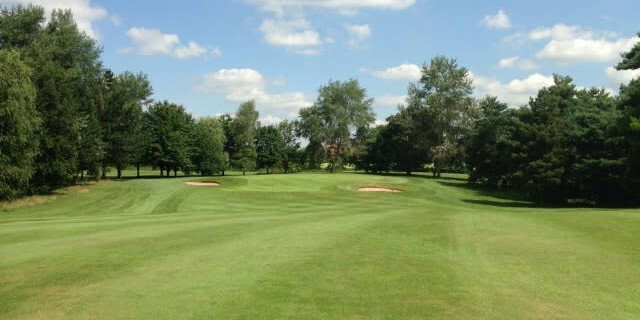 Droitwich Golf Club in Worcestershire is an 18 hole, par 70 (5990 yards white tees), private, parkland golf course that opened in 1897 and was redesigned by James Braid. It has two loops of nine both starting and returning at the clubhouse. 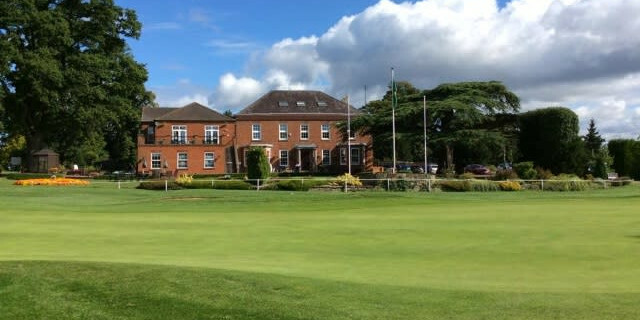 Located just a short drive from Droitwich town centre and handily placed near to the M5 makes the course easily accessible for visitors from near or far. Having never played here before I had no idea what to expect but from the moment you come up the drive towards the clubhouse you get the feeling that this is going to be a special place. The clubhouse in the Westford house originally built in 1830 is fantastic. I was greeted by Phil Cundy PGA Professional in his well stocked shop that offers all the latest gear as well as Phil himself delivering lessons and custom fitting. You can see from the walk from the car park that the course is going to be tree lined and a challenge. The 1st hole is what looks like a gentle opener at 301 yards but don't be fooled, bunkers left and right along with trees both sides make accuracy a premium off the tee to leave a short iron into a tiered green guarded front left and right by bunkers. The 2nd is a reachable par 5 offering a chance of eagles or birdies but again any errant shots will end up tree bound. Next up is the first par 3 perched up above the tee with a bunker left and a big run off right. You need to hit a good shot to find the green here. 4th is the SI1 hole and you can see why. 438yds with trees both sides mean a long, straight shot is required to leave a mid iron into a green with bunkers on both sides and a very narrow entry. 5th is the second par 5 and only the big hitters will get there in two. The fairway cambers to the left making it hard to find the right side which leaves the best line towards the green. 6,7 & 8 are all relatively short par 4s but again don't be fooled into thinking they are easy as good straight tee shots are needed if the greens are to be found in regulation. The 9th at 329 yards is pretty reachable for some off the tee but trees and bunkers await anything off line. The green sits just below the fairway with bunkers left and right and a pond not too far away behind, a great hole to finish the front nine. The back nine starts with a short par 4 of 326 yards dog-legging to the left. A hybrid/fairway woodleaves a wedge into a narrow green with bunkers left, right and behind. 11 at just 144 yards seems like a simple par 3 but danger awaits left with a big bank running away from the green and a bunker waiting right. The 12th was a great and challenging par 4 of 381 yards dog-legging at 90 degrees to the right. A well place fairway wood leaves a mid iron to a green with bunkers both sides and trees all along the right and behind. A 4 here is a great score. The 13th and 14th run alongside each other and both require straight tee shots to avoid the trees either side and give you a chance of getting to the green. 15 is a par 3 of 194 yards all up hill to a narrow but long green, favour the right as the bank will help buffer your tee shot back towards the green. 16 is a real risk reward hole, sensible play is an iron leaving a wedge to a small green protected by three bunkers at the front and further ones left and right. After a walk to the 17th tee you then arrive at what was my favourite hole, 438 yards dog-legging to the right with OOB to the right and trees lining the path to the green. Another well protected green with trees and a bunker left awaits if you've managed to find the fairway, a par here is a fantastic score. The 18th hole is another great finishing hole. 157 yard par 3 with a stream running down the right and the pond behind the 9th to the left. Bunkers await left and right to a well struck mid iron is needed to find the putting surface. The one thing you find out straight away is how pure and quick the greens are here. Receptive to approach shots, lush and quick, you wont find many better. The whole course was in super condition. The greens and bunkers are some of the best I've played in a good while. Great mix of holes make it playable for all levels of golfer with some fantastic views from numerous holes. A wide variety of food and drink is on offer in the wonderful looking clubhouse. 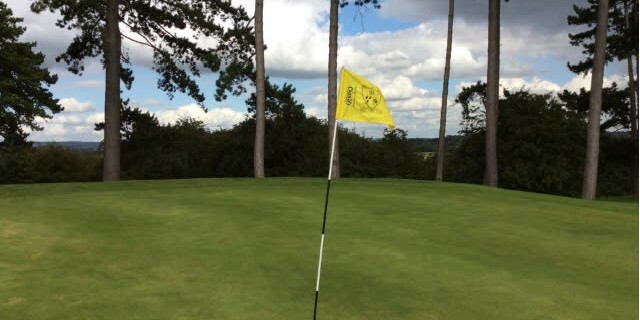 With a large practice area by the 17th hole and a big putting/chipping green, Droitwich has great facilities for playing and practicing. Given its relatively short length at 5990 yards I think this makes the course a very playable course at all times of the year. 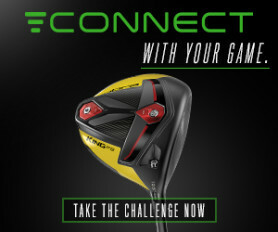 In the winter it will feel longer and like today with the ball running driver isn't always the club to hit off the tee to avoid running into he trees that line pretty much every hole.